A Month back, this title would’ve been only in the imagination. While using WhatsApp, we all have messed up many times while chatting. Many times we either have forwarded a wrong message to the wrong person or sent a wrong smiley. Drowning in the pool of embarrassment, all we have wished is if we could delete the message or unsend that message on WhatsApp. Finally, WhatsApp has rolled this feature for all the users. 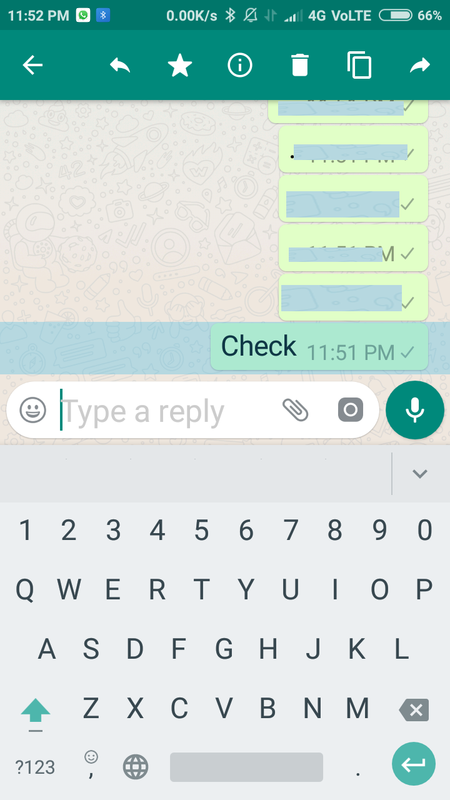 This new feature not only allows you to Unsend a sent message during single conversations, it also allows you to unsend a message from group conversations. Long Tap the wrong message which you just sent. 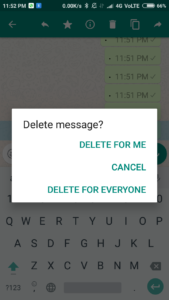 Your message will be deleted from the receiver’s mobile too. IMPORTANT NOTE: Now this is the most important part to remember. 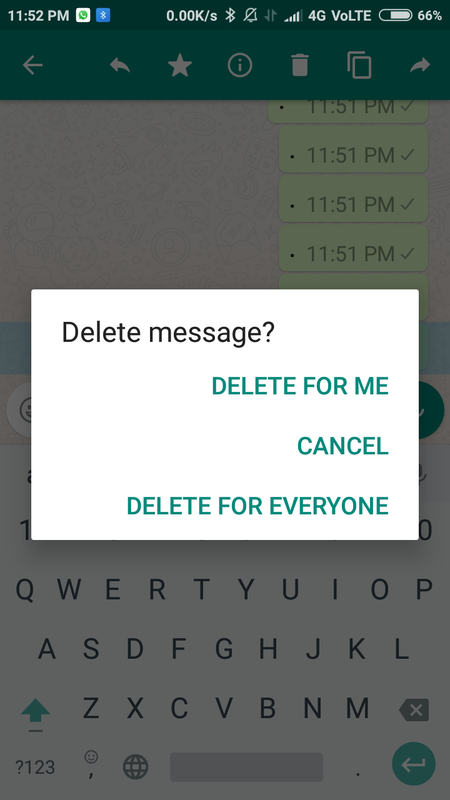 Even though you can unsend WhatsApp messages, there’s a time limitation for this. That is, you have only 7 Minutes in your hand to Delete the Sent Message from the receiver’s mobile. After this, it’s all over for you!